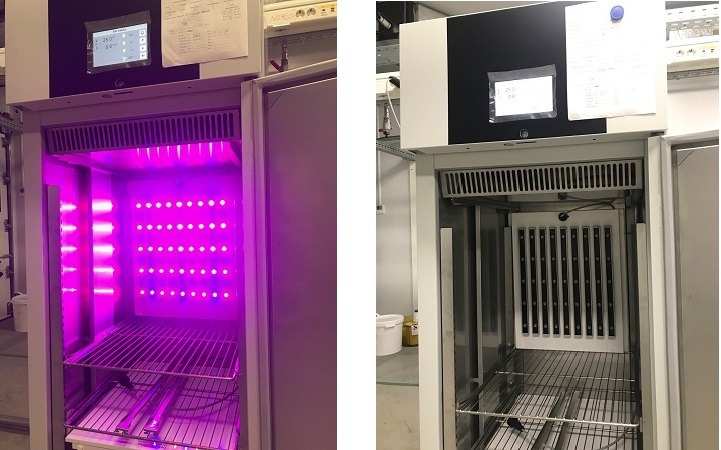 Aralab's new Vertical Light Shelf 4 Blue & 4 Red LED can easily be used with our reach-in chambers (Models 600 / 1200) to test the effect of Red / Blue LED light on the plants. The user can switch on/off any of the lights for the testing purpose. The light shelf can easily be relocated to the required position.